It’s feeling like spring in Athens this week! As the cold subsides for a while, you’ll want to take advantage of warmer weather and enjoy the outdoors before winter comes creeping back. These five events happening in Athens this week give you the perfect excuse to leave home and experience the town. Recurring every first Tuesday of the month, the State Botanical Garden of Georgia turns into a center stage of classic swing song and dance. Learn a few new steps and polish up your old tricks and dance the night away under the stars. Lessons start at 7 p.m., or you can join the open dance party starting at 8. This local songwriters’ showcase on Wednesday, Feb. 6 is one of the best ways to discover Athens top hidden talent. Ideal for all ages, songwriters take the stage to perform their original creations, passing the torch from one performer to the next. This show has presented over 200 performers since its inception four years ago and is one of the most remarkable events in the Athens performing arts scene. Tickets are $5 for general admission, which includes access to the three-hour show. Athens’ Avid Bookshop is hosting renowned author and professional doodler Booki Vivat for a meet and greet and book signing on Wednesday, Feb. 6. Vivat will be at the shop from 4:30 until 5:30 signing copies of her latest book, “Frazzled,” which highlights her unique blend of storytelling and doodling. You can purchase a copy of the book at the shop during this free event. This fantasy-themed outdoor Valentine’s Day craft party is one of the best reasons to soak up the warm weather in Athens this week. On Thursday, Feb. 7, kids ages six and under can gather in Memorial Park to make Valentine’s cards, play games, and enjoy all the best sights and sounds of the town. Admission is just $3 for residents and $4 for non-residents (parents can accompany their children for free!). 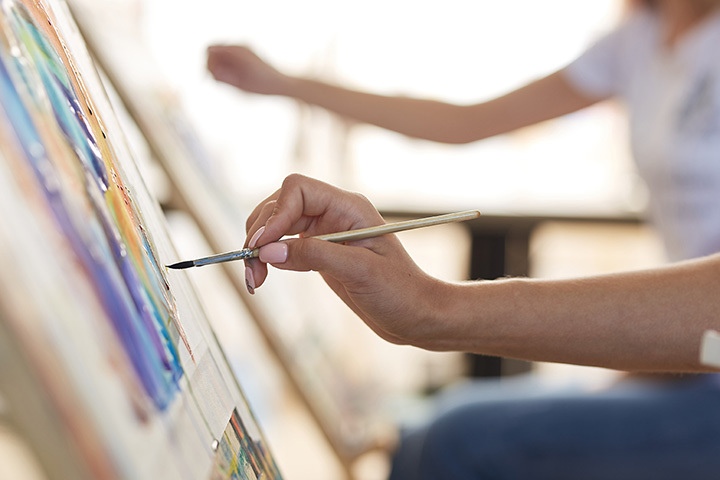 If you’re looking to inspire your inner artist, head to East Athens Community Center on Friday, Feb. 8. Everyone ages five and up can try their hand at painting an example piece and have fun doing it. Tickets are $10-$15 to cover supplies and refreshments.